The British Government has said that it will back the US Government’s declaration which condemned the Russian annexation of the Crimea. “The UK echoes the United States’ firm statement of opposition to Russia’s illegal annexation of Crimea. The UK position is clear: we condemn Russia’s continued breach of international law; Crimea is Ukrainian territory. We remain fully committed to upholding the sovereignty and territorial integrity of Ukraine within its internationally recognised borders. 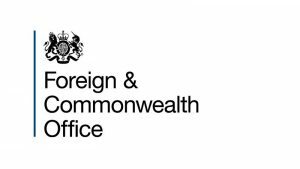 The UK also remains deeply concerned by the human rights situation in Crimea, where we have seen the systematic persecution of minority groups and of those who voice their opposition to Russia’s illegal annexation of the territory. We call again for Russia to release all Ukrainian political prisoners held in Crimea and in Russia, and to allow unrestrained access for international human rights monitoring bodies to the peninsula”.